In partnership with Notos Bulgaria. There are these fragrances that capture you in just a second. The moment you feel them – you love them. This was the case with me when I first got close to This is HER! and This is HIM! by Zadig & Voltaire. French rock and free spirit. 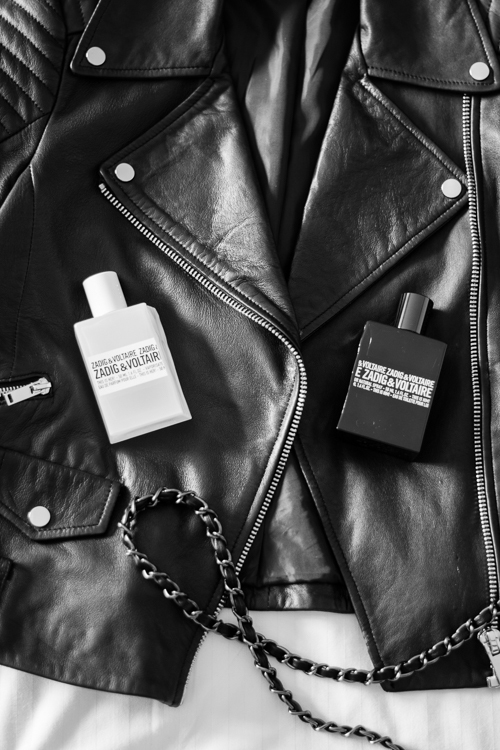 It’s the simplest way to explain the character behind Zadig & Voltaire. For those of you who have not heard of the brand, it’s a ready-to-wear French label. Its signature style includes jeans, boots and leather jackets. Style that has gained it a solid reputation for accessibility, high quality, and a new meaning for ‘luxury’. This French free spirit is now sealed in a bottle. One for HIM and one for HER. Fragrances leaving behind a trail of fragrant Parisian artistic life. Two distinctive aromas reflecting two different personalities that complete each other perfectly. Just like the seemingly broken bottles in black and white. A woody floral fragrance – a bouquet of Arabian jasmine, decorated with pink pepper, seasoned with chestnut and vanilla. And at the heart of it all stands Zadig & Voltaire‘s signature – sandalwood. The result is a confident, irresistable and unpredictable woman. Woody oriental flavor, seasoned with incense, grapefruit and pepper. Also based on sandalwood, supplemented by half-vanilla, half-incense. The result is a masculine and modern sensuality. As much as I want to explain these two fragrances and make more sense to you, I know I can’t. Fragrances can only be experienced and I would encourage you to give yourself this experience. You don’t need to be a rock fan to recognize yourself in Zadig & Voltaire. You only need to free your spirit and senses. In Bulgaria Zadig & Voltaire‘s fragrances can be found at Notos Galleries. This is HER! / This is HIM! 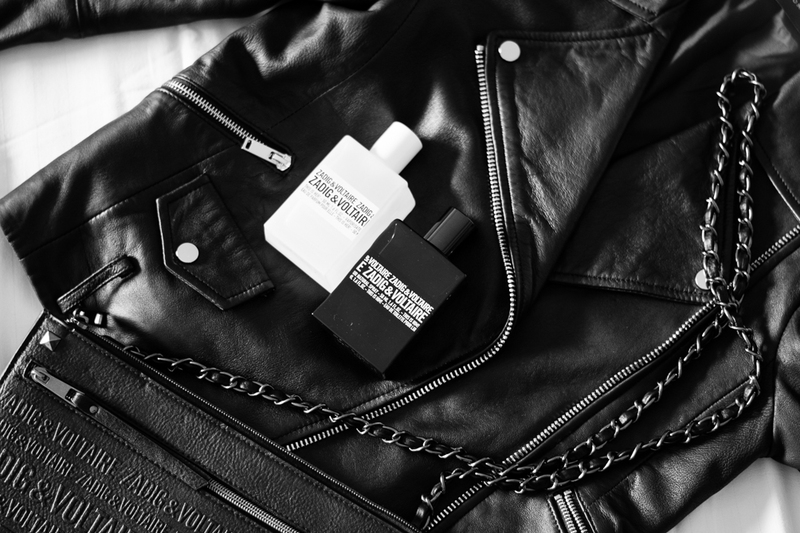 Have you ever tried Zadig & Voltaire’s fragrances?